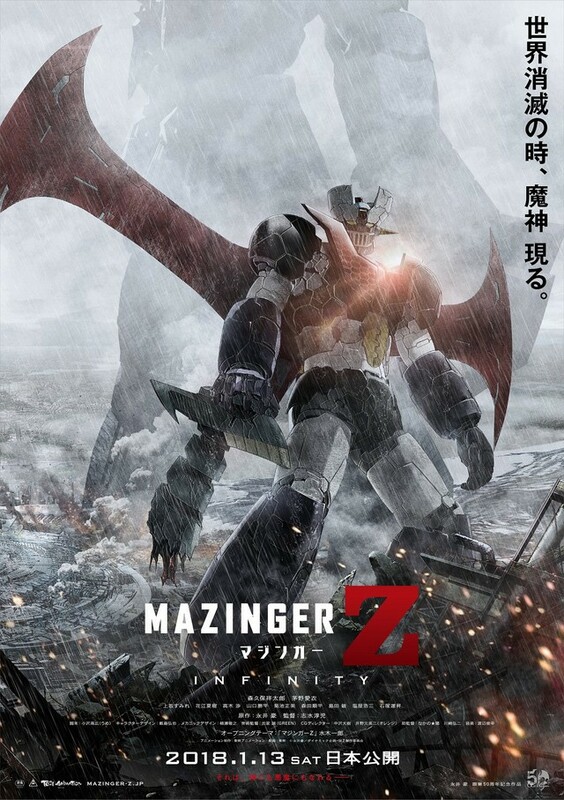 Viz Media brings the Mazinger Z film to Blu-Ray and DVD a year after its US theatrical release. Toei Animation released the Mazinger Z: Infinity anime film in 2017, based on Go Nagai’s classic manga series, Mazinger Z. The film was released for a limited run in US theaters almost a year ago in February 2018. Now, Viz Media is finally bringing the film to Blu-Ray and DVD for North American audiences. Mazinger Z: Infinity‘s new release will include the English voice cast including Wayne Grayson as Koji Kabuto, Mike Pollock as Dr. Hell, and Dan Green as Tetsuya Tsurugi. The original Japanese voices with English subtitles will also be available. Bonus features will include the Japanese theatrical trailers for the film and a music video for the Mazinger Z theme song performed by Ichiro Mizuki (Saburo Hazuki and voice of the Custom Visor in Tokumei Sentai Go-Busters). The Blu-Ray set will also include exclusive bonus features not on the DVD set. Examples include a Behind-the-Scenes featurette with interviews with the Japanese production staff and English voice cast and a digital art gallery. The Mazinger Z: Infinity Blu-Ray set’s MSRP is $24.98 USD and $29.99 CAN. The DVD set’s MSRP is $19.98 USD and $24.99 CAN, and both sets will be available on February 19th. Mazinger Z: Infinity acts as a sequel to the original story about Koji Kabuto on a mission to defeat the evil scientist, Dr. Hell, and the Underground Empire by piloting a super robot called Mazinger Z. Following his victory, Koji has retired from piloting to become a scientist until an encounter under Mount Fuji brings about humanity’s biggest threat which leads Koji to choose between good and evil.